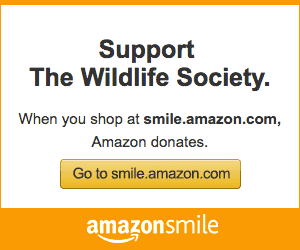 The Colorado Chapter of The Wildlife Society was established in 1973 as the state affiliate of the international organization, The Wildlife Society. Its 350 members are educators, students, administrators, research scientists, consultants, resource managers, and wildlife law enforcement officers from all over Colorado. Obtain updates on current issues, chapter activities, legislative activity, upcoming conferences and workshops, and the latest professional news in our quarterly newsletter, Wildlife Tracks. Gain in-depth exposure to timely wildlife management concerns by attending our Winter Meeting and Workshops. Bring the combined expertise of the Colorado Chapter membership to bear on wildlife policy issues. Enhance your professional growth by serving on a committee, organizing a workshop, presenting a paper or poster at our winter meeting, or serving as an officer or board member. Increase your peer network by attending The Wildlife Society’s Annual Conference, as well as Colorado Chapter meetings and workshops. Link to other wildlife professionals across the country by becoming a member of The Wildlife Society (international organization).